/Personalizing Your Items /Can I upload my completed design? Yes, if you have created a design in an outside program that you would like us to print, we have that option available! 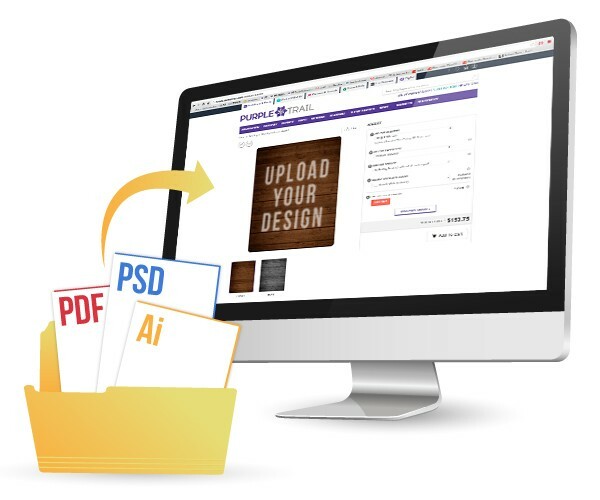 To get started with this option, visit our Upload Your Own Print Ready Design page here. 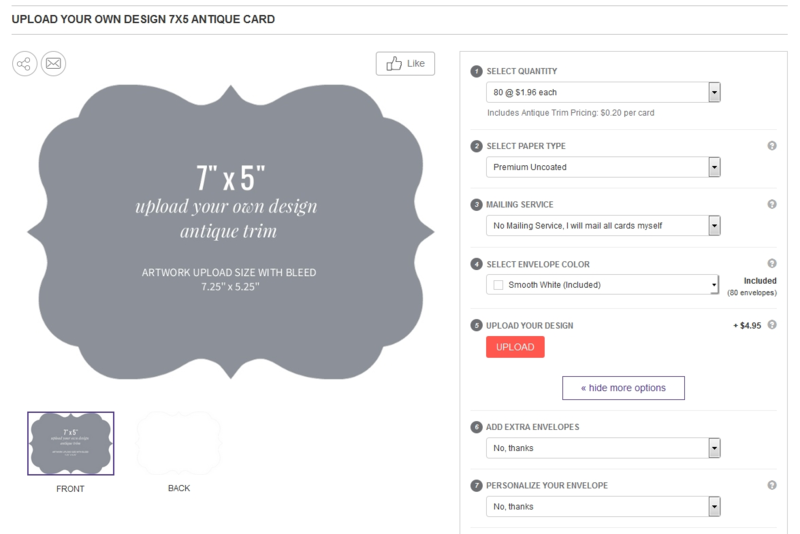 Once you have selected the desired size, you will be able to start the checkout process by selecting the quantity, paper option, etc., and uploading your file. After placing your order, our design team will review your artwork and send you a digital proof for your approval before printing. Your response to the digital proof is required within 72 hours. After the 72 hours has elapsed we will print your order with any necessary changes the designer has made during the review process. If you would like a template start file, please email us at support@purpletrail.com and tell us which item (type and size) you are designing.